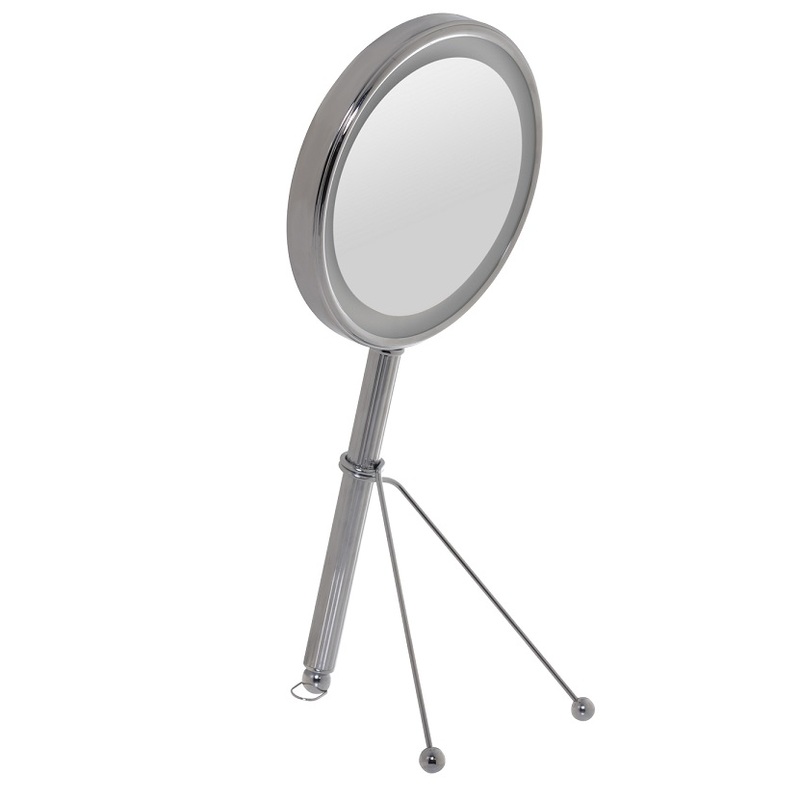 See yourself in better light with this double-sided super bright pedestal mirror with LED lighting. Features 360 degrees rotation and five times magnification. Requires four AA batteries.